Mid-drive (chain drive) conversion kits have the advantage of using the motor through the pedal gears (drivetrain) for a much wider torque. 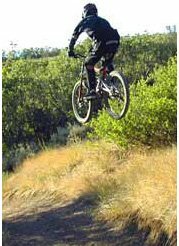 This allows you to climb steep hills or pull heavy loads by using the electric assist in the lower gears of the bike. To read about the pros and cons of the mid wheel drive, click here. The installation process is usually more complicated then the installation of other types of kits. You have to mount the motor to the frame and integrate it to the bicycle chain system. it may require a bit of modification to the bike and some technical expertise. 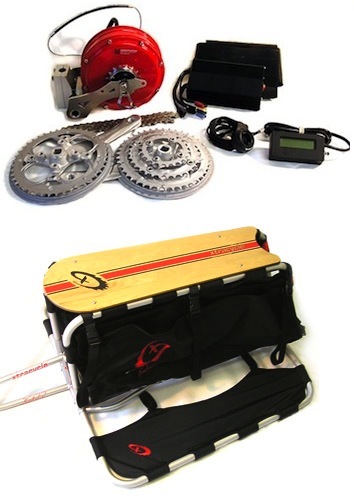 Chain drive conversion kit are just sparsely available. Adjusting such a conversion kit to the bicycles is not trivial. Add this to the difficult installation process and you would get a system that maybe great to buy ready but not to install by yourself. To many adjustments (which are not always possible) need to be done here.